This new project brings the overall Materna self bag drop installation up to 65+ units. 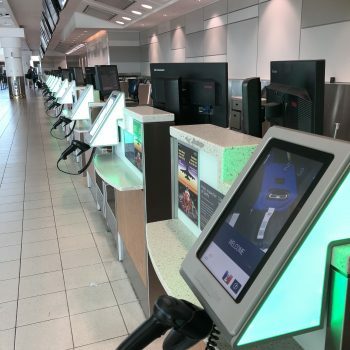 Currently the drop-off systems are used by Sunwing – but more airlines will follow soon. We are proud of this new project from Materna Canada and that we are the most important supplier in the field of passenger handling at Toronto Pearson Airport, now with three different solutions: Air.Go A+B and Drop.Go C.